Villa Nina is ideally situated. Walking distance from the beach (250m) and only 15km away from Barcelona (North) and Sitges (South). It is settled in a very quiet and safe area. The street is one way (not very busy even during summer). Many other activities are available in Castelldefels: all kind of watersports (Nautic club at 500m), but also the Olympic Channel (rawing), 30 clay tennis / padel courts, a 25m swimming pool and a golf practise are only 500m away from villa Nina. Of course Castelldefels offers a wide range of restaurants and bars and also clubs. It has also several commercial centers (1,5km from the villa), opened 7days a week. So no need to go far for shopping at Zara, Bershka, Mango, H&M, etc... Cinemas are in the same commercial centers together with all kind of shops. Unsere Mitarbeiter haben den Aufenthalt sehr genossen, war ein super netter Kontakt. La location de Pierre-Emmanuel est très agréable ! Propre et pratique pour dormir à 10, la maison est aussi très bien équipé. Légèrement excentré du centre pour faire les courses certes mais à 2 pas de la plage ! Encore merci et à une prochaine je l'espère ! très agréable maison, très bien située, parfait et Pierre est "muy guapo" !!!!!!!! A great stay in a beautiful house with a very helpful host! We were impressed by the beautiful house so close to the beach. Pierre helped us with everything we needed, he was always available. The beach closeby (about 200m) is beautiful and extremely big with nice beach bars and restaurants. There is a bus to Barcelona city center about 50m from the house (about 2,5€/person, 45 min.) The area was very calm and there are lots of sports you can do in the area such as tennis, wake boarding and paddel. If you are staying longer a car is good to have, supermarkets are some kilometers away. Big thanks to Pierre for making our stay in Castelldefel great, we all want to return! Just go and enjoy your temporary home. You will not regret it! The location is great - close to the Beach and the bus to Barcelona is 50 mtr. (!) away. You will be in the center in 45 min. Pierre is a great host who speaks English, Spanish and French. Thanks for your hospitality and commitment. This property has it all. It's located just steps from the breach and only a 20 minute drive to Barcelona. The property is in great condition and has everything you need for a comfortable stay and is walking distance to many restaurants. Great outdoor spaces and plenty of indoor room as well. I would definitely stay at this property again. Thank you for your kind words. Hope to see you again soon. 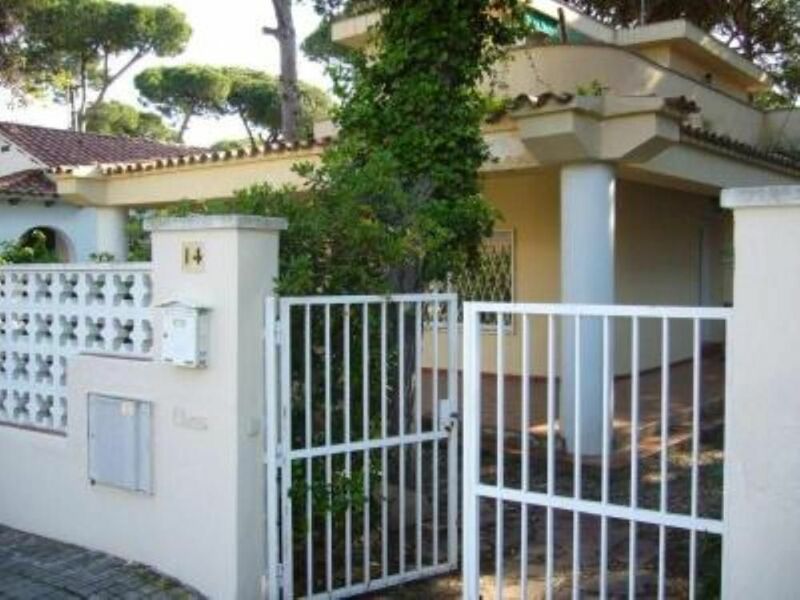 (Text automatically translated) Plane: 10 minutes from the Barcelona Airport Car: Very easy access to the motorway or highway C32 C31 Train: Castelldefels is 10 minutes walk from the Villa and 20 minutes from the station Sanz ( in the center of Barcelona).